Frame made of strong aluminum that will not rust. 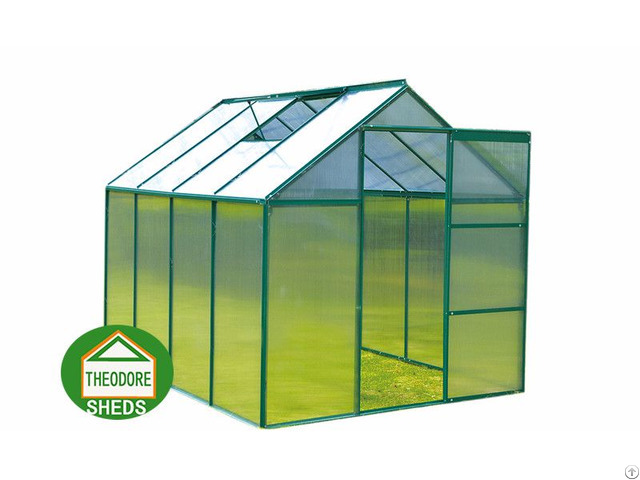 Virtually unbreakable twin walled Polycarbonate panels. Panels slide into place so will not blow out in the wind. No glass to shatter or break, Light weight panels. 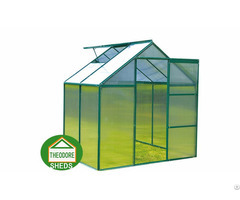 Blocks UV and Solar rays to protect inner equipment and Plants. Galvanized Steel base, vents and gutters included. High headroom and eaves for improved working space. Easy assembly system - no glazing locking parts are needed with step by step assembly instructions. With at least one opening skylight vent, the number of vents can be customized. Our products will be packaged in mail order packages which can be sold direct to end customers without repackaging. Business Description: Good Star Group, founded in the year of 2010, is an expert in oversea business. We have a wide scope of business with more than 15million annual sales. Our group is the supplier of companies in Europe, America, Oceania and retailers on eBay, Amazon. We also provide many kinds of machinery to the Mid-east and Africa market. Group has two factories and one trading company. Qingdao Theodore Trading Co., Ltd. Specializing in oversea trading and purchasing. The scope of business including garden and outdoor products, tools and equipment, health and beauty products, home and office products, pet supplies, children and baby products. Laizhou Beite Machinery Co., Ltd. Factory covers an area of 5000 square meters with about 150 employees. Laizhou Beite has more than 20 years' manufacturing experience. The scope of business including aluminum cutter, cut off saw, cold saw, concrete cutter, concrete mixer, plate compactor, power trowel, steel bar cutter and hydraulic crane. Some products have passed the CE certification. 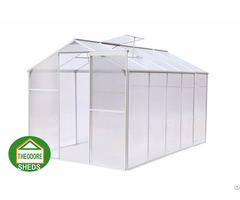 Specializing in the manufacturing of gardening products, including metal garden sheds, aluminum greenhouses, greenhouse staging and grow beds, etc. 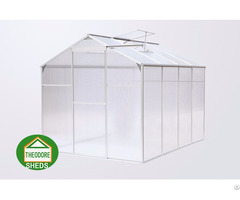 Theodore sheds now have a warehouse in Germany. The stuff in Germany have rich experience in supplying and storage,they can provide delivery service for European retailers. Our mission is to help the global companies on their connection with Chinese manufacturer, to help customers from all over the world to purchase Chinese products. Our vision is to build a convenient road to China for the global companies, to connect the world and China through our professional service and sincere feelings.